Big news! The new digital issue of Mousse is now available at the App Store. 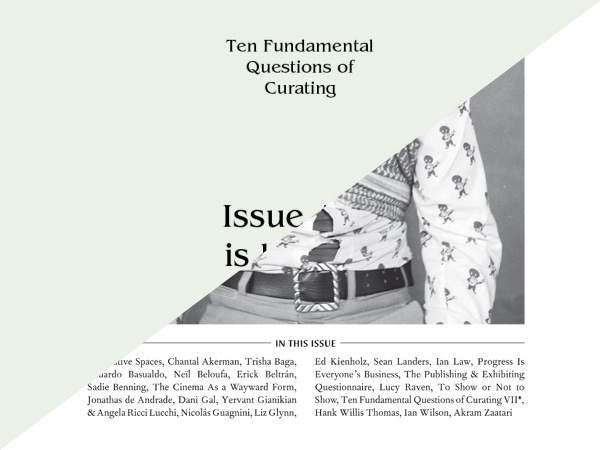 And from now on, you can also download the current issue of Ten Fundamental Questions of Curating, a project distributed with the international edition of Mousse, aimed at exploring the multifaceted physiognomy of the curator. The seventh of ten dossiers presents Sofía Hernández Chong Cuy, who asks: “What about collecting?” The text is accompanied by the visual concept of Mario Garcia Torres. For further information about the current and back issues, click here.